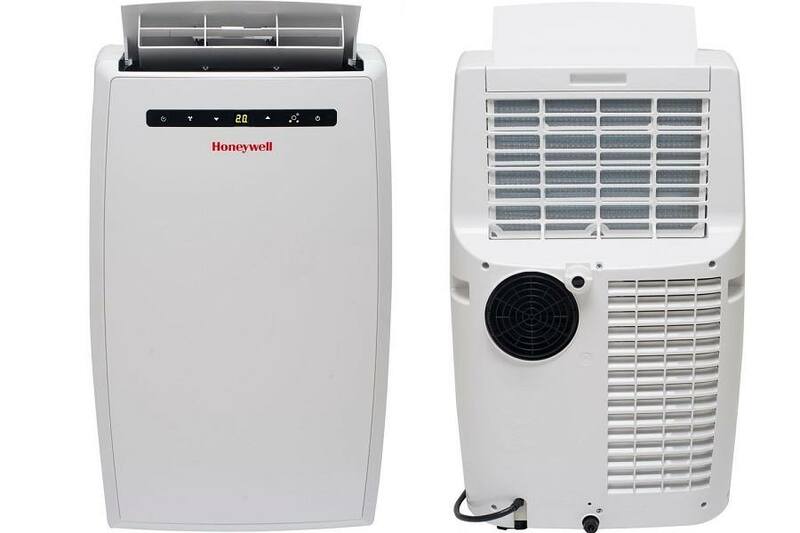 Honeywell’s MN10CESWW is very similar to its big brothers in nearly every way, with the only main difference being the BTU amount. The MN10CESWW is powerful for its size, energy efficient, and has just enough features to keep it on the level of most of the other units in its size category. Being a Honeywell, it also runs a little louder than others. 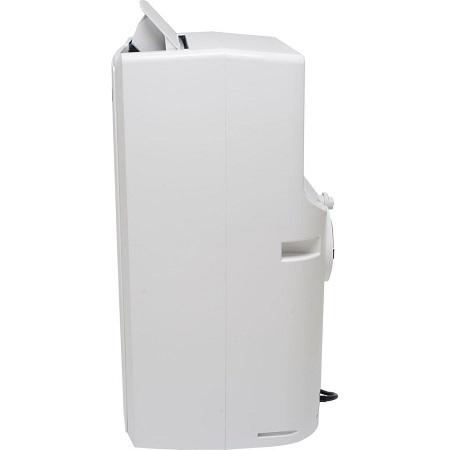 The MN10CESWW is not only powerful for its size, it has several features usually more common for portable air conditioners in a bigger BTU classification. 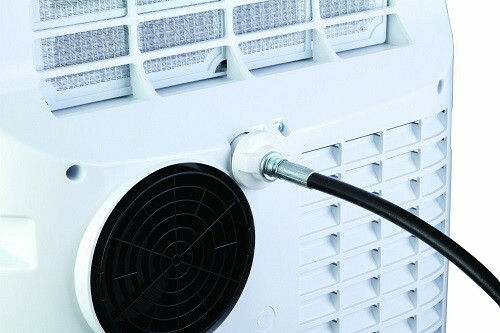 The result is an efficient unit that not only cools well for its size, but has several features that make it easier to use, and in this case, more environmentally friendly as well. The MN10CESWW has no trouble sending out cool air to the various corners of your space. With a rate of 174 CFM, you don’t have to worry about one part of the room being warmer than the other. The MN10CESWW uses R410A refrigerant, which is very environmentally friendly to both your home and the outside. That’s always a good thing. It's common for units in the 10,000 BTU and lower categories to rely on drain hoses or buckets to catch condensate as it accumulates, but the MN10CESWW largely takes care of its condensate with self-evaporation, saving you from having to constantly monitor the bucket to fill. This shouldn’t be overlooked. Nobody likes having to babysit their unit, or be surprised by puddles on floor. The MN10CESWW’s remote control lets you control the temperature from across the room, and also allows you to set a timer anywhere from 1 to 24 hours. If you choose to use the onboard controls, you’ll appreciate the typical Honeywell feather-touch controls that make operating it nice and easy. Honeywell overlooked a few aspects that keeps the MN10CESWW from being close to perfect. 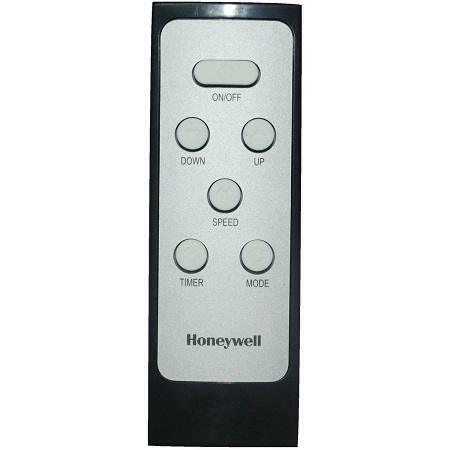 The tradeoff with using a Honeywell often involves dealing with a slightly noisier unit, and the MN10CESWW is no exception. The minimum decibel rating is 50, which may be good for a 14,000 BTU unit, but not for a 10,000 BTU unit. The noise doesn’t bother everyone, but if you are wanting to use the unit in a quiet setting, you’ll probably be disappointed. The exhaust hose on the MN10CESWW is actually a bit stiff and difficult to bend, which results in having to keep the unit very close to the window. This is kind of an odd flaw, but still worth mentioning. Despite some of its flaws, and the usual noise level on a Honeywell, the MN10CESWW is a very good value considering its cooling amount and fan power. 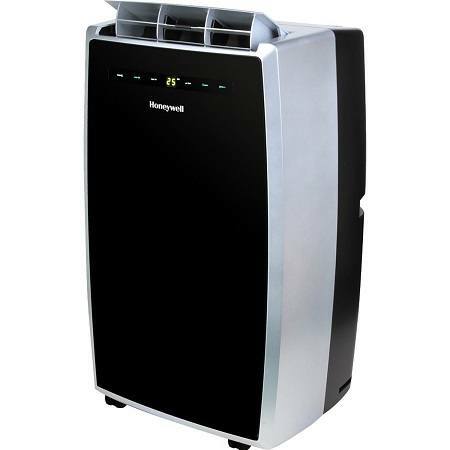 Buy this unit if cooling efficiency, convenience, and power are more important to you than noise level.